A group of fifth grade students at the Bruce School participated in “Bacteria Around Us” with Pfizer Pharmaceutical scientists. Thank you Pfizer for providing us with this amazing hands on program. 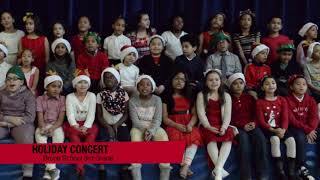 Enjoy some holiday music from 3rd grade students at the Bruce School.